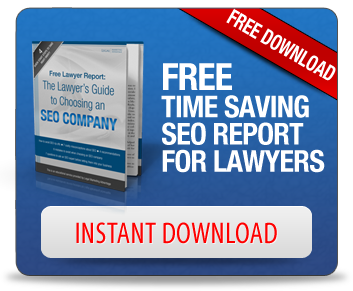 For law firms seeking to create compelling content that will appeal to those who are looking for an attorney (or maybe who don’t realize they need an attorney), you could do a lot worse than looking to online retailers. You may not be selling a product, but you are selling a service, and at the end of the day, you’re really just impressing upon viewers why you need to be in their lives. A new article offers up some insights on how companies can write product descriptions, but we’d like to turn that on its head and show how the same lessons could be applied to your descriptions of practice areas. You first need to know who you’re targeting, which may necessarily dictate a different approach to various kinds of practice areas. If you’re dealing with a wrongful death practice area description, for instance, you can’t come across as brash or take a light-hearted approach. This is a very serious mattes, and the people coming to your firm may be in an emotionally fragile state of mind. Learn how to approach each and every piece of landing page content in a way that optimizes your ability to acquire persons in that area as clients. The report linked to above goes on to explain how important it is for a retailer to talk about features and benefits, and it distinguishes between the two. Your law firm may not be in the business of selling vacuum cleaners, but you can still benefit from this information. Let’s go back to the wrongful death attorney example. What are the features of your law firm that a client would want to take advantage of? Well, one would certainly be knowledge of the subject area, as demonstrated through a long history of bringing successful verdicts and settlements to clients. Another could be investigatory abilities, discussing how you have a team of investigators and expert witnesses at your disposal. You can also list the resources that put you ahead of others. With that complete, you can turn to relating how those huge positives for your firm can serve clients. Talk about how, with a successful claim, clients will be able to gain the income stream that went missing due to the death of a loved one. Talk about how, though that person can’t be replaced, the case can act as a form of closure for the family. Explain how the people whose actions led to this juncture need to be held responsible. This makes the idea of a personal injury lawsuit more concrete and allows the family to get a handle on what can be an incredibly daunting situation. For more insights that can be gleaned from retailers, be sure to click on the link up above.